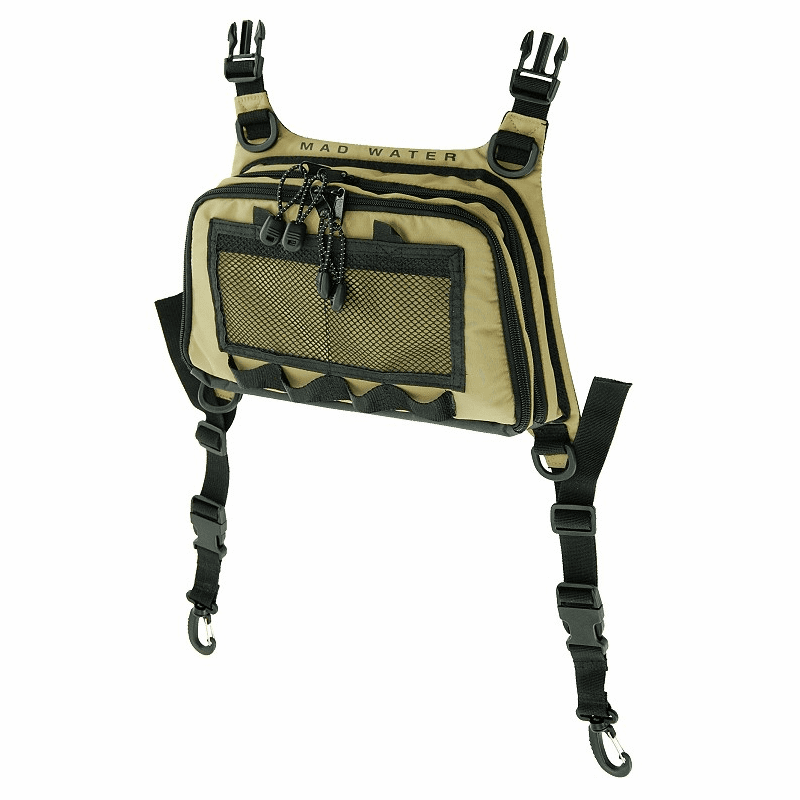 This Chest Pack features a flexible removable fly tray and a large accessory pocket, all accessible with easy access zipper pulls. Other features include the padded breathable back, 2 Velcro™ 4”x4” mesh pockets, daisy chain accessory loops, and 4 D-rings. The only missing feature (and part of our plan) is the completely waterproof construction. We decided that lures and fishing hooks didn’t cooperate very well with waterproof material. And fishing tackle is OK to get wet anyway. So you’ll need to keep your PB&J in your Waist Pack or the Action Sports Hydration Pack.